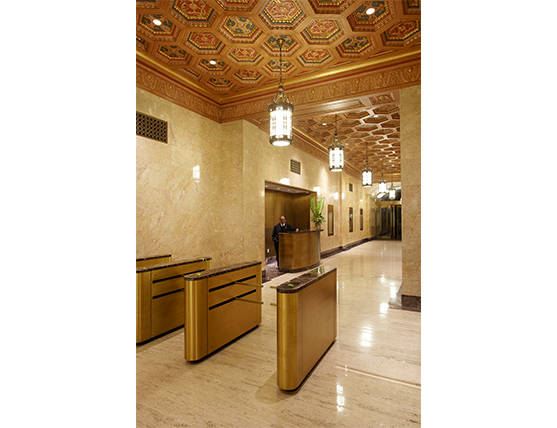 A 42-story building designed by J.E.R. 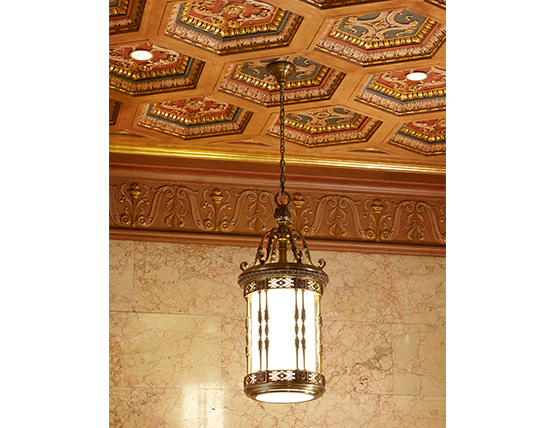 Carpenter and completed in 1931 is a melange of classical styles executed with fine materials to the high standards of the period. 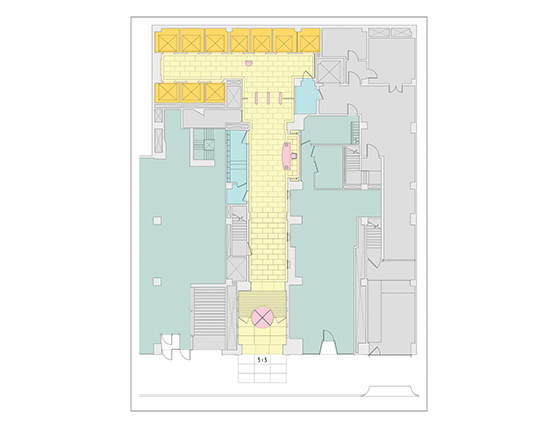 To refresh the building’s competitive strengths, the entry sequence was redesigned. 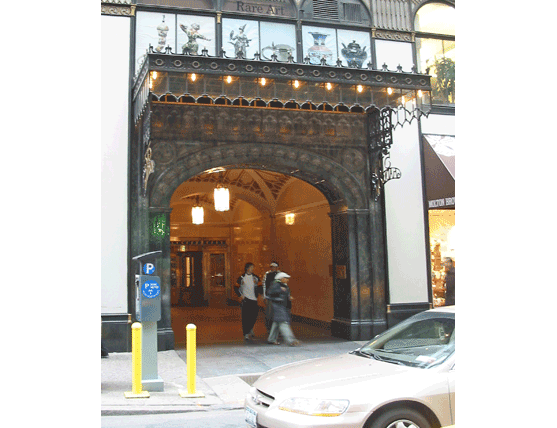 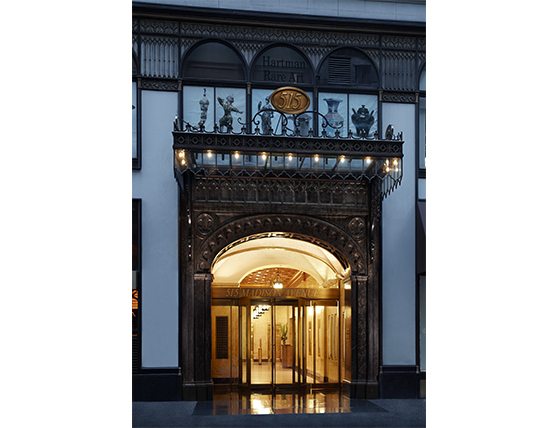 The deep porte-cochere is foreshortened and newly illuminated to better articulate the space and establish the building’s street presence. 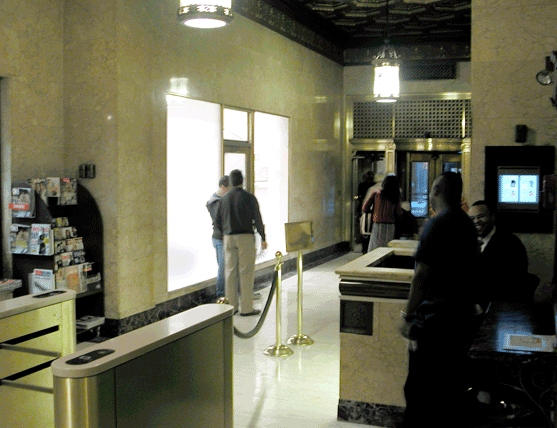 Now extended toward the street,the enlarged and reorganized lobby is made more welcoming by thoughtful lighting. 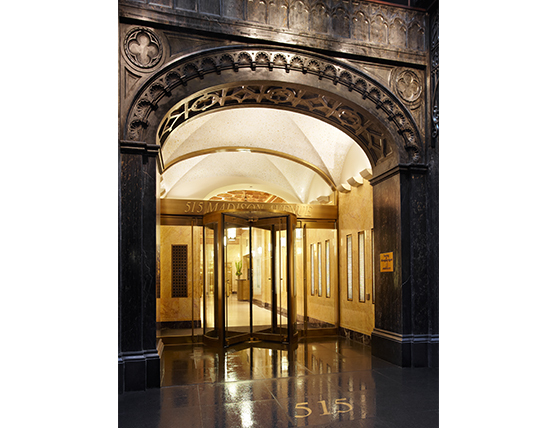 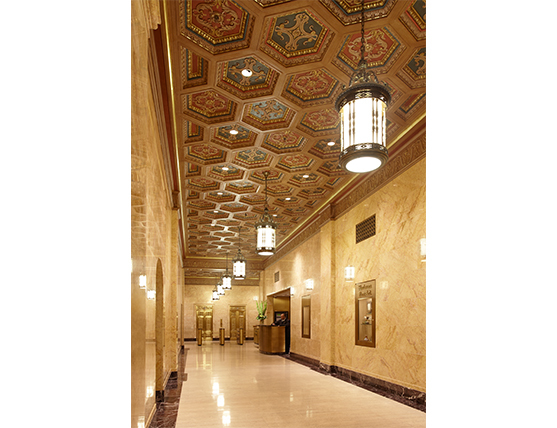 Finishes are carefully matched with original lobby details of historic value.